The major modern and historic human rights documents recognise human rights as inalienably and universally attaching to individuals by virtue of their humanity. However, this justification for rights possession in dignity or any other foundational human characteristic is absent from the Human Rights Act 1998 (HRA). This lack of recognition of a deeper fundamental basis for Convention rights underlies both the euro-sceptic and party political hostility to rights in the UK, and the lack of ownership of rights amongst the public recognised by the Commission on a Bill of Rights. If the conception of human rights accepted and respected within the UN rights documents it to take root in the UK, our courts or a new Bill of Rights must recognise a moral, more fundamental, justification for human rights. The preamble of the UN Universal Declaration of Human Rights (UDHR) states that rights are universally and inalienably possessed, in order to distinguish them from ordinary laws. Its drafters sought to recognise for them a non-positivist basis; one declaring that their force was not dependant on their substantive protection within the legal systems of signatory states. The UDHR’s statement of the foundation of rights in the dignity of the individual is the product of the post-WWII recognition that the formal rules of legislative enactment and majority rule could not be the ultimate standard for the validity of laws. It is an acknowledgement of the need for higher moral constraints on state laws and actions. This motive for the recognition and protection of fundamental rights is found in the earliest right documents as well as the most recent ones. Nations emerging from a period of abuse of power look to recognise some higher law to protect against future abuses. This is as true of the American Declaration of Independence’s invocation of “unalienable rights, [including] life, liberty and the pursuit of happiness” in 1776, the French Declaration of the Rights of Man and the Citizen’s commitment to the protection of the “inalienable and sacred rights of man” a few years later, as it is of the Kosovan constitution’s statement that human rights are “indivisible, inalienable and inviolable” in 2008. In contrast, the HRA contains no statements similar to these foundational claims concerning the nature of rights. In spite of a desire to create a “culture of rights” going beyond civil liberties, the recognition of a new more fundamental type of norm was not a purpose of the Act. The Labour party’s Bringing Rights Home paper advocating incorporation of the European Convention on Human Rights (ECHR), talked of the efficacy of avoiding challenges in the European Court of Human Rights (ECtHR) and of protecting “British citizens’ rights” rather than human rights. There was no government statement in the course of its enactment that the rights being recognised were universally and inalienably possessed by individuals by virtue of being human. The reason for this lack of recognition of the universal and inalienable nature of human rights is found in the context of the HRA’s enactment. Thankfully the UK’s rights protection did not emerge in the aftermath of a widespread state disregard for rights. But the consequence of this lack of such a context for its creation is that no statement of a deeper, more fundamental basis for rights was perceived to be necessary. Thus the HRA conforms to Jeremy Bentham’s positivist conception of rights, as norms like any other, created and granted by the state. Similarly, Edmund Burke’s criticisms of rights in his Reflections on the Revolution in France have been proved true by the lack of grounding of the HRA in a fundamental conception of human value. Where Bentham criticised moral rights as vapid nonsense, Burke recognised their power. Rights taking force from deeper moral principles which broke with the continuity of the previous law, Burke argued, would change the structure of society and established rights. The consequence of this lack of recognition of a deeper basis for the Convention rights is that the public and judges have been allowed to perceive the HRA incorporated rights to be no different from any other laws. Although the courts have acknowledged that the HRA is a special constitutional statute by virtue of its statement of “fundamental constitutional rights”, the fundamental basis of human rights remains unrecognised. Within this context the current domestic attitude to human rights is understandable; without recognition of the universal and inalienable rights possession of rights, when unpopular minorities have their rights vindicated the question is asked “why are we giving rights to them?” Without the context or preambular statements to create an understanding of the need for a deeper basis on which rights are possessed, a lack of ownership naturally follows. More recently Dyson SCJ, in giving the judgement for the court in RT (Zimbabwe) v Secretary of State for the Home Department (United Nations High Commissioner for Refugees intervening)  UKSC 38 relied on the use of dignity in the UDHR to hold that “the right to dignity is the foundation of all the freedoms” protected by international human rights law [paras 29-30 & 39]. This recognition of a deeper basis for human rights and their interpretation is welcome, but needs to be stated with greater clarity and more widely if a non-positivist conception of human rights is to be generally accepted in the UK. Such a justificatory development in the domestic case law would mirror that within the jurisprudence of the ECtHR. The text of the ECHR, like the HRA, contains no explicit statement of a fundamental moral basis for rights. This is unsurprising given that it was largely drafted by British lawyers who possessed the Burkian/Benthamite conception of rights I have described. Nonetheless, the ECtHR in Pretty v United Kingdom (2346/02) found it possible and necessary to move beyond the British positivist conception of rights, to state that the protection of dignity is the “very essence of the Convention” [para 65] and thus recognise explicitly a deeper non-positivist basis for the possession of the Convention rights. This judicial use of dignity as a justification for rights possession does not require judges to engage in philosophical speculation about the particular meaning of dignity. It only requires that they invoke it in the sense in which it is used in the UDHR: as a statement that there is some deeper foundation for human rights in the value of the human person which makes them universally and inalienably possessed. The perception of a lack of ownership of the Convention rights was at the centre of the Commission on a Bill of Right’s call for a new Bill of Rights. It was suggested that the lack of ownership could, to some extent, be addressed by a formulation of the rights that showed them to be based in our own constitutional history, such as the Magna Carta. However, an understanding and acceptance of the nature of rights in line with international human rights law can only be achieved by acknowledging them to be possessed universally and inalienably by being human. Recognition of a basis for rights in dignity can help to achieve this. Without it human rights protection in the UK remains fundamentally flawed. 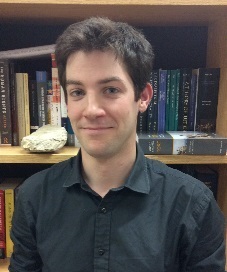 Benedict Douglas is a Lecturer in Law at Durham University. This blog post summarises some of the arguments put forward in an article in the current edition of Public Law: B. Douglas, ‘Undignified rights: the importance of a basis in dignity for the possession of human rights in the United Kingdom’  Public Law 241. It is an interesting reflection. I’ll read the article as well. It is plausible the idea that such a lack of a broader justification for human rights possession can bring about a kind of judicial reluctance to fully engage with them. I suppose this should be proved empirically though. However, the point I wanted to make regards a sort of paradox which one can deduce from your argument, namely that in seeking to overcome a positivist approach you are suggesting to write down certain moral values in some legal documents. In my understanding this is to translate moral precepts into legal provisions. This is exactly what law normally does and the reason why we normally consider it worthwhile: to add normative strength to moral values with their inevitable disagreements. So, I think your solution is good but it looks to me like an endorsement and not a criticism of a positivist stance. Thanks for taking the time to read the post and article, and for your comments. My apologies for delaying in replying. It is an interesting paradoxical point that you raise. I suppose my way out could be to argue that what I am asking the law and the judges to do, is to use positive law to give recognition to the deeper idea that the protecting of human rights necessarily involves the abandonment of legal positivism. Legal recognition can’t of itself make this deeper shift in ideology happen, that might indeed be a paradox, but it could argue or recognise that this deeper shift has to happen or has already happened. This entry was posted on May 5, 2015 by Constitutional Law Group in Human rights and tagged Bill of Rights, dignity, Universal Declaration of Human Rights.